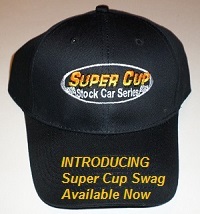 Statesville, North Carolina (March 21, 2019) – While the Super Cup Stock Car Series consists of a mix between drivers with storied pasts and some with aspirations of seeing what they can do out there in the great beyond, many find themselves completely content living in the moment in a 3,300 pound, 600 horsepower ride of the their life. 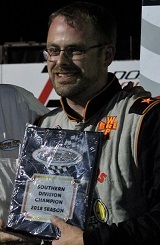 Bill Ashton joined the series in 2014, notching his first top five finish in his third career start and claiming co-Rookie of the Year honors. 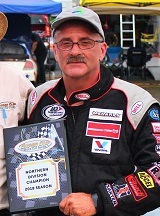 The Uniontown, Pennsylvania driver then captured a checkered flag that was a crowd favorite at his home track at Jennerstown Speedway Complex in 2016. Despite alluding to a possible retirement in victory lane that particular summer evening, Ashton has now started 30 consecutive SCSCS points races and looks to keep that going throughout this year. Although everlasting friendships gained can make any day at the track a good one, the goal remains to better themselves and one another as time progresses and green flags fly. 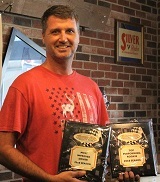 Ashton is no different and following what was an up and down 2018, a fifth place points result was secured. 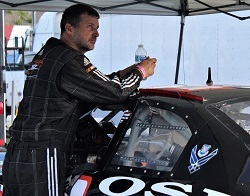 Marc Jones entered his first season in the Super Cup Stock Car Series with a host of experience at the race track, but from a slightly different perspective. 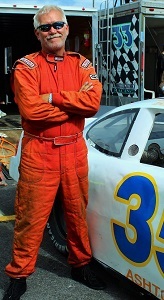 The former pit crew member for various major NASCAR teams adjusted well in the driver seat, taking Top Performing Rookie honors with a season best fifth place finish and was recognized as Most Improved Driver for his advancement from the beginning to end of 2018. The Mocksville, North Carolina resident has primarily been a one-man band both at the shop and on race day, and has been working on some enhancements leading into the season opener at Dominion Raceway. 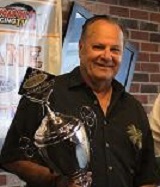 What has Jones coming back to the short tracks after years spent on pit road and in the garage at major speedway facilities in the past? Affordability is one major factor, but there is another that money cannot buy as well. 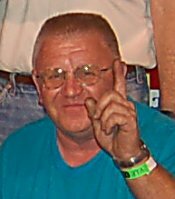 Ron Langdon came on the scene as an interested party early in 2016 and made his SCSCS debut midway through 2017. After having to take a brief break during the month of August last year, the Freeport, New York driver rallied back with a modernized nose and fenders on the car and some of his best performances to date. With the September races as a baseline, Langdon put an objective in place for further improvement and perhaps a win or two in 2019. While having over 30 years of success racing locally did not directly translate to this current challenge and resulted in more adjustments than anticipated, Langdon has kept a positive and energetic outlook regarding the opportunity he currently has. “At first it was a little disappointing; we all go out to win,” Langdon commented. “But you take what you’ve got and have fun with it. On more than a couple occasions, the journey off Long Island to the various SCSCS venues and back can be a lengthy one. Langdon expressed his thankfulness for the supporting cast that encourage him and are often right there by his side when making these trips. 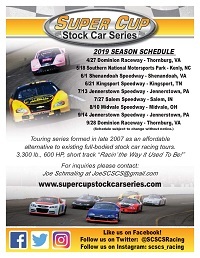 More information regarding each stop on the 2019 schedule will be released as it becomes available at www.supercupstockcarseries.com, Facebook (search Super Cup Stock Car Series), Twitter (@SCSCSRacing), and Instagram (SCSCS_Racing).